A good school ID badge can go beyond just identifying students and staff — it can also boost safety on your campus. In an effort to make campuses as safe as possible, today’s schools are leaving no stone unturned when looking for the latest and greatest security enhancements. Schools that previously left doors unlocked are now turning to smart lock systems that can be controlled remotely. Campuses that formerly used a volunteer with a notebook to register guests are now using robust Visitor Management systems. In an ideal world, schools wouldn’t need to spend any time worrying about taking proactive steps to ensure the safety of students and staff, but the threats today’s schools face are too serious to ignore. However, in a rush to add surveillance cameras and metal detectors, schools are overlooking a more basic way to enhance security: the use of school identification cards for students and staff. At the most basic level, a door lock really only needs to do one thing to be effective: prevent the door from being opened! While this may seem like a low bar for success, it's true: a door lock should...well, lock doors. However, there are a number of different situations where you'd like your door locks to be capable of a little bit more. Securing doors in a school is one of those situations. Unfortunately, today's schools need to worry about things like intruders, active shooters or lockdown situations. 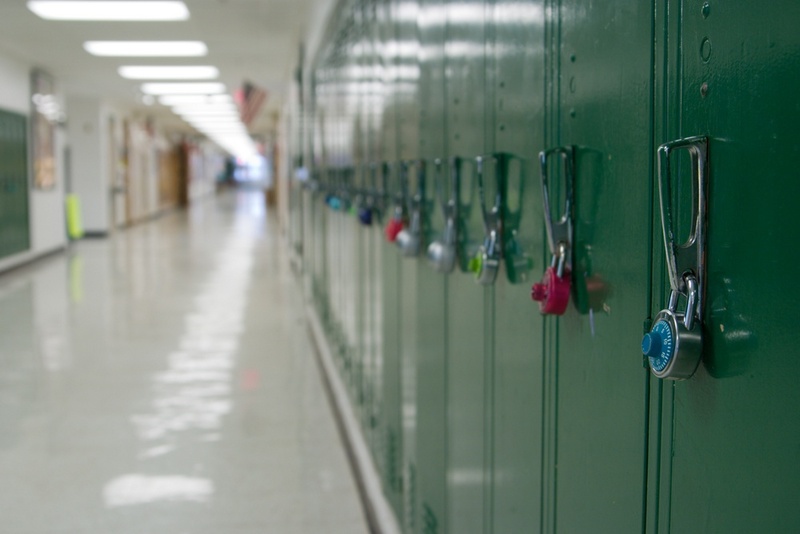 While we all wish these concerns never needed to enter the minds of today's educators, most schools are adopting a "better safe than sorry" approach that sees them upgrading their existing locks to something more robust. 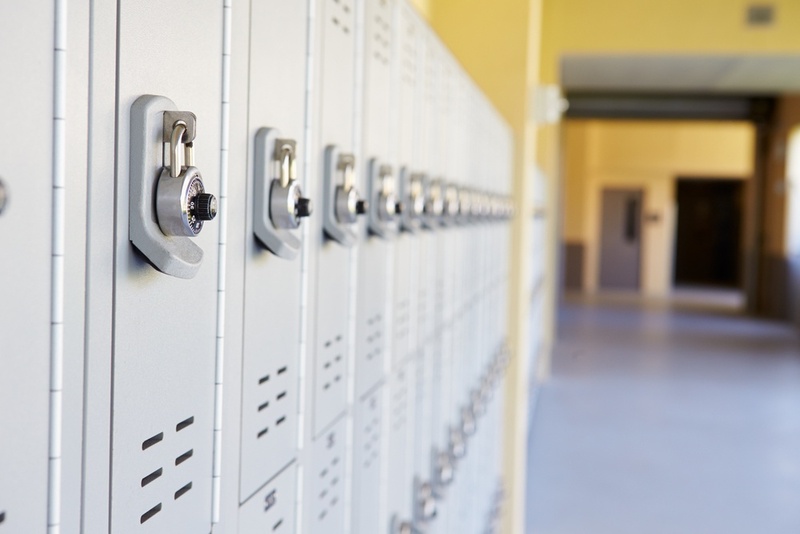 Keeping unwanted intruders out remains the number-one priority of school door locks, but there are a few additional things that should be taken into consideration when upgrading to a new system. Go beyond "just keep people out"
The state of New Hampshire is known for a number of different things. The first Presidential Primary of the American election season takes place every four years in the Granite State. New Hampshire's White Mountains are home to some of the most popular ski resorts in the northeast. 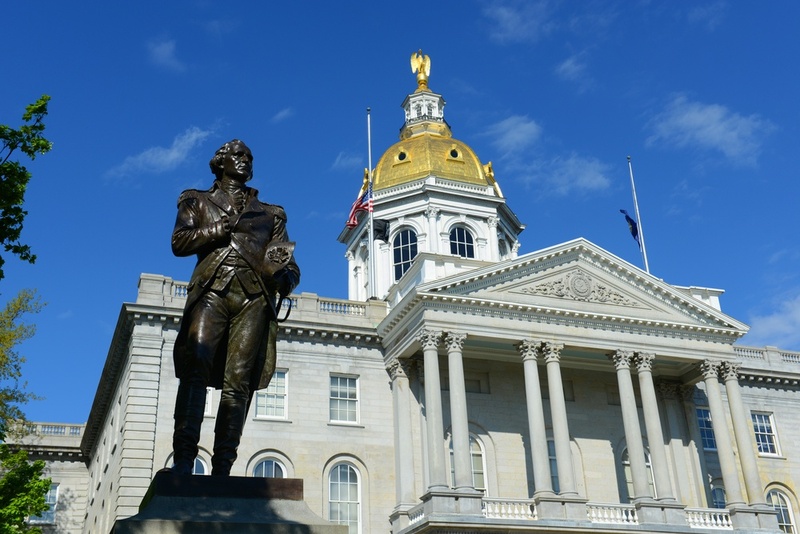 In New England, New Hampshire is known as the state with no sales tax, making it a popular shopping destination. These days, New Hampshire is becoming known for something else: being a state that is fully committed to funding the security needs of all of its schools. Last year, the Granite State set aside nearly $19 million in funding for security and quality of education improvements at its schools. According to the New Hampshire Union Leader, that money was used to fund nearly 200 different projects across the state. And while that budget figure was impressive, New Hampshire wasn't done. 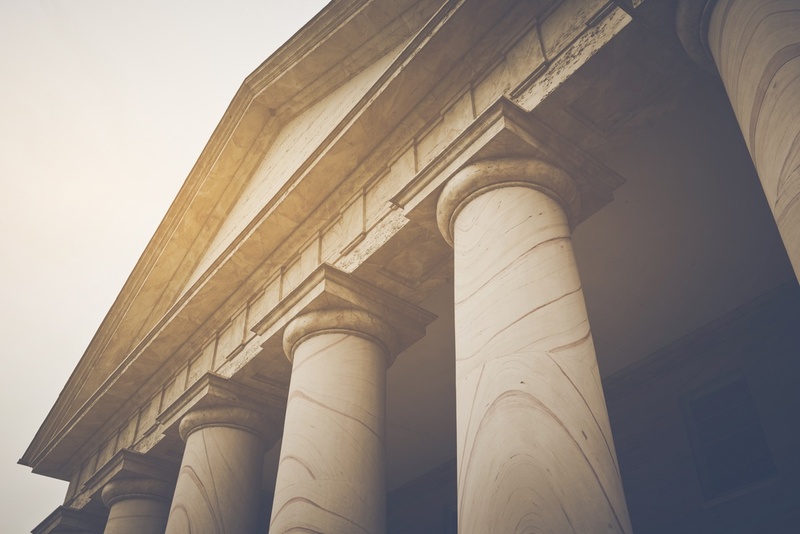 In late March of this year, the President of the United States signed the FY18 Omnibus Bill, a piece of legislation that provided $1.3 trillion of funding to keep the federal government running through the end of the fiscal year. Like everything else in Washington these days, the bill was hotly contested. It was a massive bill, with numerous earmarks for everything from military installations to federal employment programs. In all, $700 billion was budgeted for military use, while nearly $600 billion was allocated for use on domestic programs. Those are some big numbers! Somewhat lost in the bitter political back-and-forth that followed the bill's passage was an important section on school security spurred by the tragic event in Parkland, Florida, back in February. This section of the bill, and the $75 million in funding that comes with it, has the potential to have a sizable impact on the security of American schools. 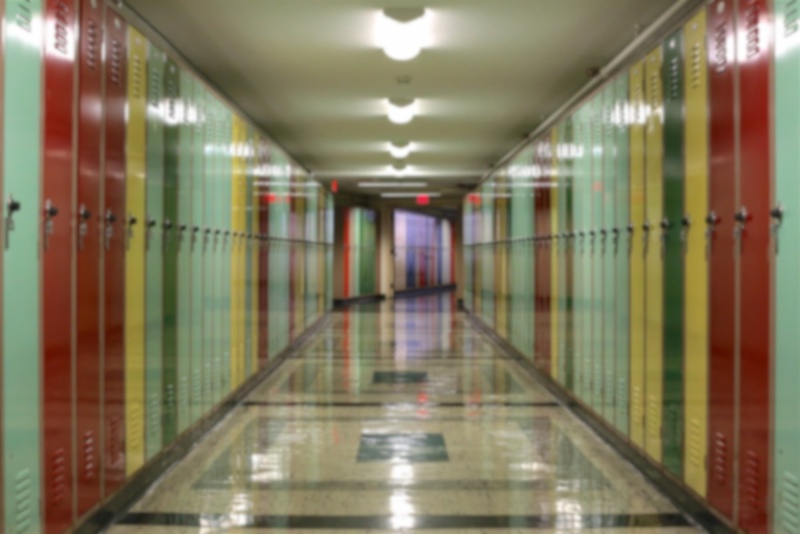 Given recent events, it's no surprise that school safety and facility security are big talking points for legislators across the United States. From City Council meetings to State Senate hearings, legislators at all levels are debating measure after measure, all of them designed to increase security for students, faculty and staff at schools of all kinds. While we all wish these debates and laws weren't necessary, the sad reality is that schools now need to take active measures to keep personnel safe from both internal and external threats. By putting legal requirements around such measures, governments are taking steps to ensure that schools are kept safe, regardless of size, type or location. Summer is slowly drawing to a close, and that means one thing: it's back-to-school time! Many districts across the country have already resumed classes for the year, and the majority of those still on summer vacation will return to school after the upcoming Labor Day holiday. Back-to-school season is a time to stock up on supplies, sharpen those pencils, set up lesson plans and ensure that facilities are ready to handle another year's worth of activity. 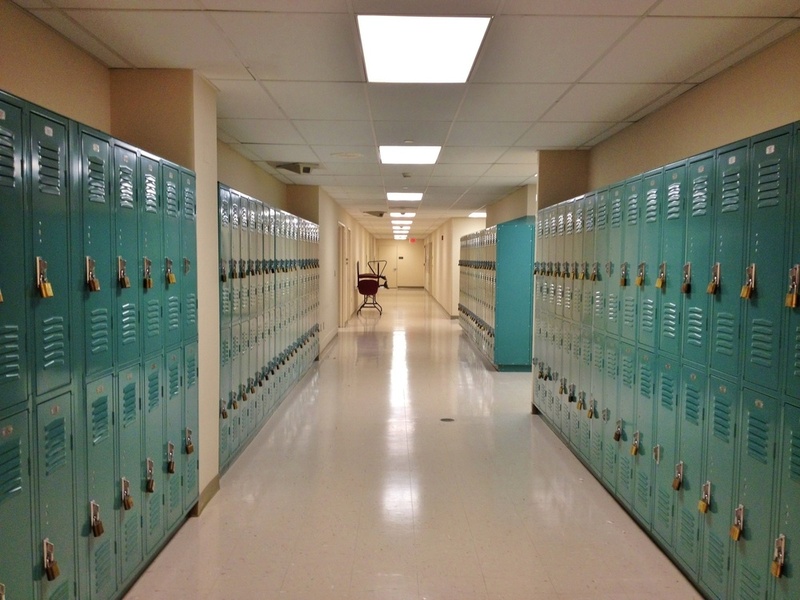 However, back-to-school season is also the perfect time to reflect on and assess the state of an essential part of school operations: your school security system. For most schools, decisions on capital expenses (like a new security system) are made in the late spring. However, that doesn't mean that taking a closer look at a security system should be limited to those spring months. Back-to-school time is a season of the new: new students, new teachers, new staff members, new policies. This "newness" is a great way to assess the systems and procedures you already have in place, and to determine if there are areas in which you need to make improvements. Every school administrator has a vested interest in making his or her school or school district as secure as possible. Besides the obvious reason of wanting students and staff to be safe at all times, no administrator wants to look like he or she was caught unprepared in the event of an incident. Oftentimes the people "on the ground," so to speak, are aware of the shortcomings of school infrastructure, whether those shortcomings are outdated security equipment or leaky spots in the roof. These people see, experience and are inconvenienced by these shortcomings and issues on a daily basis, coming to and leaving from the building or campus. If you tell these people that an issue needs to be fixed, chances are they're already well aware. However, in today's school districts, there's usually an off-site entity making decisions on large purchases, whether it's a county education chair, superintendent of schools or the head of a school board for a town. These people aren't likely to be as familiar with a school's security needs as the students, teachers and staff. This means that when they see "new school access control system" for Johnson Elementary School on the budget request form, they're going to need some convincing to sign on the dotted line. Whether you're at a factory or a multi-family building, security is security. Your goal is to protect people and property, keep threats out and minimize risk. The idea behind a security and access control system is safety, regardless of the site. However, it goes without saying that different kinds of sites are going to have different needs. For example, a military base is going to require a little more security than a suburban office building. Several industries have niche needs as well, including the education market. Schools face unique challenges when it comes to security. Administrators must consider both internal and external threats, keeping children and staff safe while also ensuring that the school remains a positive learning environment. 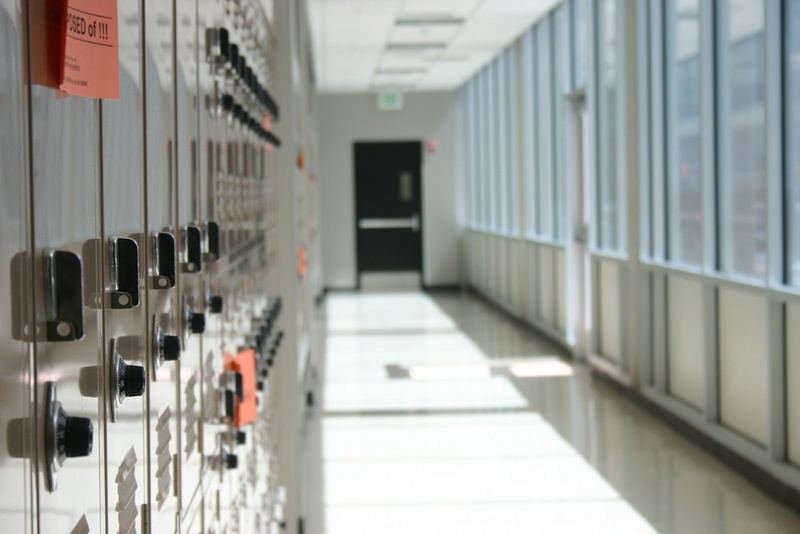 Supply theft, sprawling campuses, unauthorized visitors, threats of violence...all of these are things schools need to consider when looking for the right security system. Fortunately, a good school access control system is able to take all of the above into consideration. Keeping students and staff safe at school is of the utmost importance. No school administrator wants any student, faculty member or staff member to feel unsafe at any point in the school day. However, school security systems have a number of unique challenges. There are a variety of different levels of personnel at schools, including administrators, teachers, janitors and substitute teachers, meaning there will be a number of different access rights. Schools frequently welcome visitors of all kinds, each of whom presents unique challenges. Modern security threats, including gun violence and terrorism, mean school security directors must constantly evolve. School facilities can be extremely large and spread across multiple campuses, making them hard to manage. With challenges like those listed above (and more), it's no wonder that even the idea of considering a school access control system is enough to make an administrator's head spin. 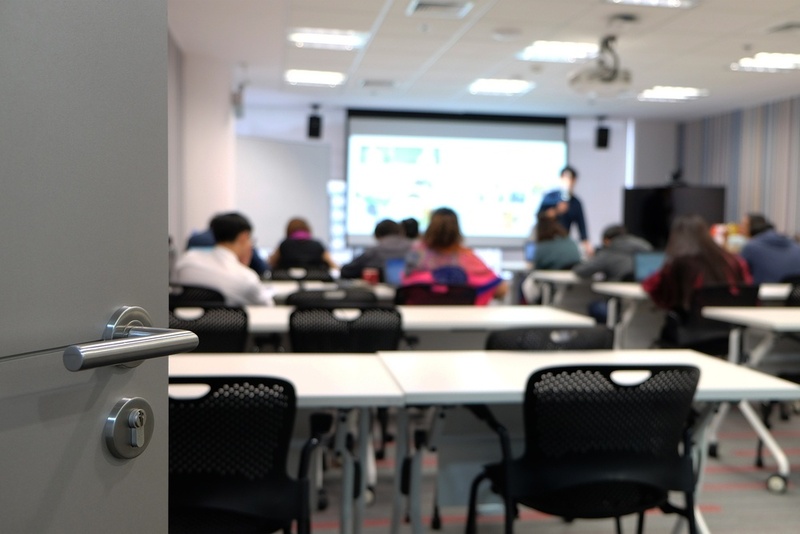 However, selecting a modern access control system for your school is one of the smartest investments an educational institution can make. 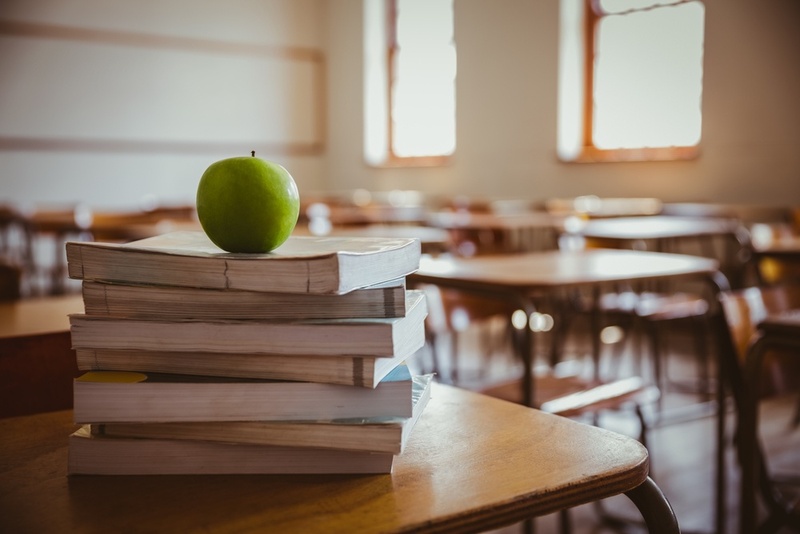 With budget season for schools in full swing, now is the time to consider bringing your security system into the modern age and creating a safer learning environment in the process.